We tested and reviewed the latest cycling gear, apparel, accessories and nutrition that made us wonder how we made it this long without them. 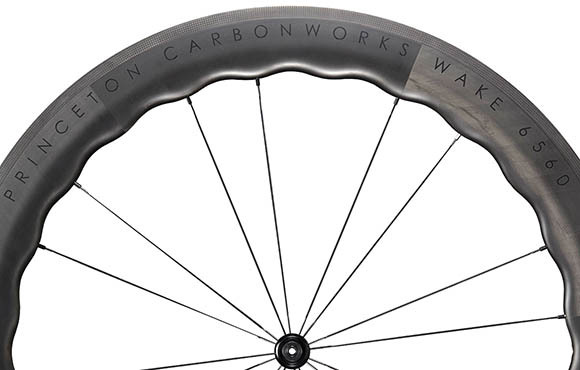 With their aerodynamic, scalloped (sinusoidal) shape, the Princeton Carbonworks Wake 6560 wheels were stable when riding in all but the most blustery conditions. And in wet conditions, braking modulation exceeded our expectations for carbon bike wheel performance. Just knowing the Wake 6560 wheels are on the UCI-approved wheel list made us more confident when we took to the roads. These wheels are responsive, with a very firm feel when accelerating out of corners and noticeably stiff when climbing out of the saddle. Each Wake 6560 wheel ships with a "report card" detailing the tension for each spoke, as well as a wheel bag, SwissStop Black Prince brake pads and rim tape. Upgraded Chris King hubs, tubeless ready and a disc-brake variant are just a few of the build options available. 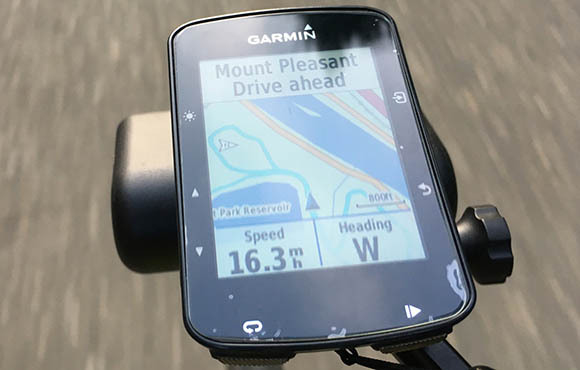 The Garmin Edge 520 Plus improves on the previous model cycling head unit with real-time mapping and turn-by-turn navigation, a group track ("find our friends") mode and a back to start mode, which we found helpful when riding on unfamiliar roads. Of course, the go-to features—like customizable display, easy pairing with Bluetooth and ANT+ accessories (power meters, heart rate monitors and speed sensors) and a robust enclosure—are the reasons why we like Garmin electronics. We were able to get more than 13 hours between charges when using the Garmin 520 Plus with a power meter, heart rate monitor, speed sensor and GPS all enabled. 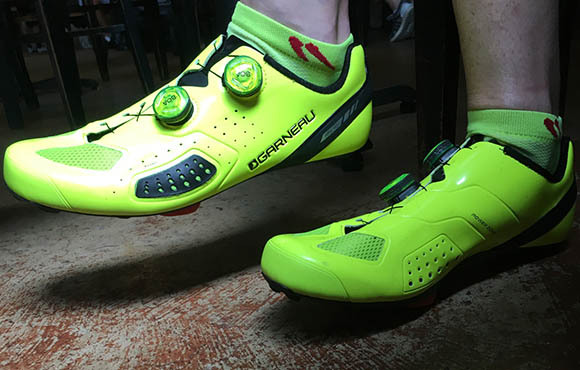 The Course Air Lite II from Louis Garneau is among the lightest, stiffest and most comfortable road cycling shoes we've worn. The Boa dials and Garneau's X-Comfort Zone panels on the outsides of the forefoot conformed to the shape of our feet, offering what felt like a custom fit that our narrow-footed tester very much appreciated. This shoe comes with insoles for both hot- and cold-weather cycling, as well as a travel bag. With these Silca tools, we were able to leave our massive, clunky cycling tool box at home. 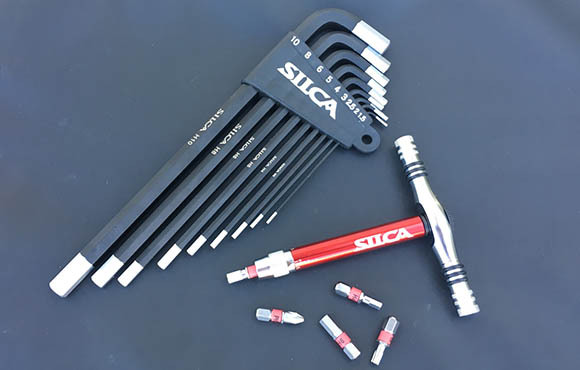 The Silca HX-Three hex wrenches are precision machined, and they maintained their crisp shape through constant use. Even the most-used 5mm hex wrench showed no signs of wear, even after being in heavy, demanding use. Compared with other electrolyte replenishment options, Nuun tabs are less fizzy and have a smoother taste, which means they go down easily and never cause any GI distress. Of the 13 available flavors of Nuun Electrolyte tablets, our testers preferred grape, cherry limeade and strawberry lemonade. Nuun Performance, with 15g of carbohydrate, as well as electrolytes, helped us stave off bonking. Testers were evenly split between the orange-mango and blueberry-strawberry flavors. Both options, like the electrolyte-only tabs, have a notably mellow taste. 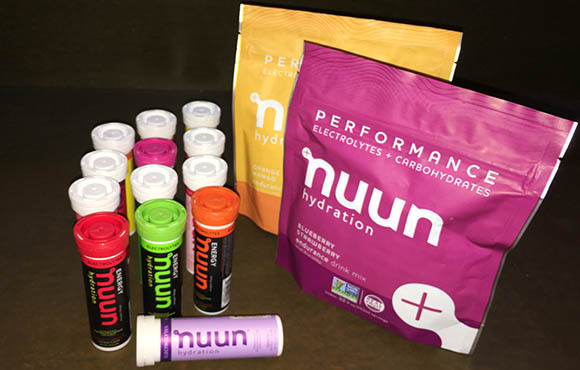 Nuun Performance became our go-to hydration option when we wanted light carbohydrates for training and racing in shorter events. Latex tubes are the most cost-effective and affordable upgrade for your bike. Silca's latex inner tubes are more resilient than standard butyl tubes, meaning lower rolling resistance—a.k.a. faster with the same effort—as well as greater protection from pinch flats. Bonus: Silca latex tubes made a noticeable difference in just how smooth our race tires rolled over every surface on which we rode. These tubes are optimized for tires measuring 24mm to 30mm; 85g (claimed) with a 42mm valve stem. 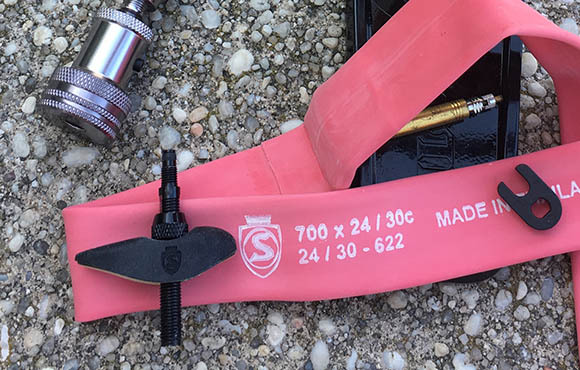 We mounted our Silca latex tubes with the Silca SpeedShield and a valve extender kit ($26, shown). 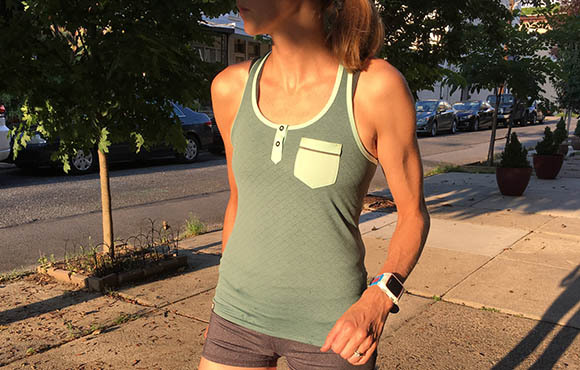 The Pearl Izumi Women's Escape Singlet is fashionable, fun and functional. On hot and humid days when the air felt thick and oppressive, this singlet felt light and airy, so we could keep going in comfort. This sporty top doesn't scream, "I'm training right now!" and we even wore it casually without feeling self-conscious or out-of-place. 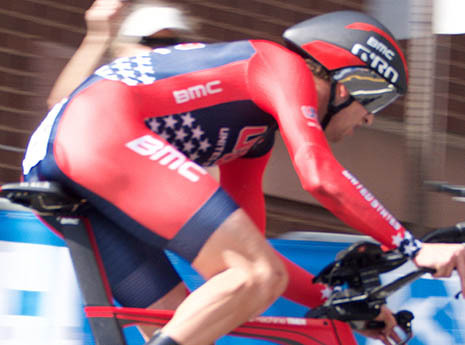 Like all Pearl Izumi apparel we've tried, this top is true to size. Pacing by heart rate is a good method for smart racing and training; pacing by power is so much more effective. The Stages single-sided power meter, now in its third generation, provided us with actionable data, sent from the left crank arm to our Garmin 520 Plus head unit. It's the same power meter that Team Sky has been using to win the Tour de France since 2014. Our testers noted that power measurements were nearly identical to those provide by other power meters. The Stages single-sided power meter is an excellent value as well: We got nearly the same data provided by dual-sided power meters but at a fraction of the cost. And the improvements from previous generations of Stages power meters made this latest version easy to use, accurate and reliable—no data signal dropouts, plenty of clearance at the chainstay and a LED indicator to help with diagnostics. We never exhausted the coin cell battery—our testers swap bikes a lot—but claimed life is in excess of 175 hours. 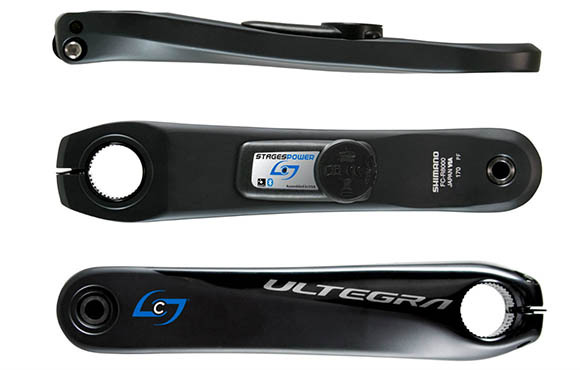 Stages single-sided power meters are available in standard crank arm lengths from 165mm to 180mm and for all major bicycle component manufacturers. 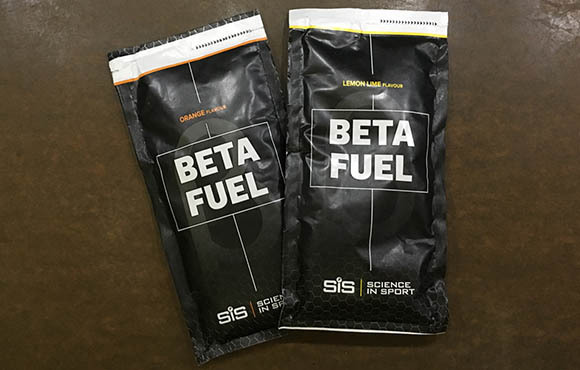 Science in Sport Beta Fuel has been fueling our test team, as well as Team Sky—who won yet another Tour de France—this season. To optimize absorption, we were certain to follow the mixing recommendations of one sachet per 500ml water. Both flavors we tried are on the sweet side: The orange flavor was dead-on for tasting like an orange creamsicle while the lemon-lime flavor was just like eating a lemon drop candy. Our wattage while using this cycling hydration mix was impressive, and we also never felt close to bonking during long rides. Plus, we were less sore after! 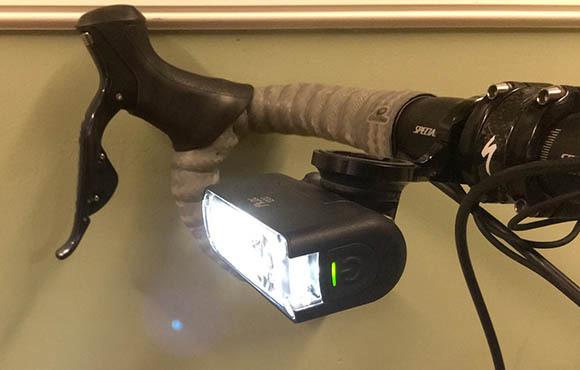 The dual beam Specialized Flux 1200, with seven different operating modes, gave us plenty of confidence to see and be seen on our dawn patrol rides. The variety of mounting options (GoPro mount shown) provided for placement on our bike helmet or direct attachment to any of our test bikes. One LED has a broad illumination pattern while the other has a brighter, focused beam pattern. We frequently used both light sources simultaneously to provide the best illumination possible in low-light conditions. On the brightest setting, we experienced over 65 minutes of runtime, and while in the lowest strobe setting, we went about 12 hours between charges. Plus, we never had to activate the emergency reserve power mode (yes, this Specialized headlight has this feature! ).